When I found out I was pregnant with my first baby, I knew next to nothing about birth. The small amount I did know came mostly from TV – waters breaking in a big gush at a climactic moment in the film, labour that always seemed excruciating, and newborns that look three months old. I knew that there was something called an epidural that would take pain away, and assumed only truly insane people would say no to the drugs. And of course, when you’re five weeks pregnant and not telling anyone, it can be hard to get good information and advice too. I eventually muddled my through booking in with a maternity hospital and opted for combined care whereby every second appointment was with my GP. From that point on, I followed medical staff lead on almost everything. Looking back, nine years and three children later, I wonder why I didn’t do more research and how I didn’t know there were other options open to me. My three births were fine in that nothing terrible happened, but I saw them as something to endure rather than something to enjoy. Is it really possible to enjoy birth? And what prompts people to choose different types of births? Three women tell their stories. When Eimear Hearne was expecting her third baby, she looked into having a water birth, but only told her husband on the day she went into labour. Eimear just about met the criteria for a water birth – women must be between 37 and 42 weeks pregnant. There was also just one birthing pool, which she knew might not be free, and she had been told that it could only go ahead if a clinical specialist was available. Kim Brophy had a natural birth at the Midwifery Led Unit in Our Lady of Lourdes in Drogheda. So what led her to forgo the epidural? 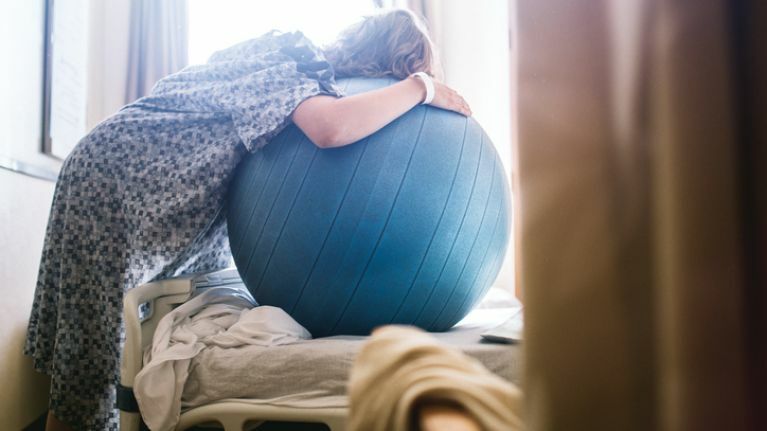 “It was my first baby and as soon as I started to think about the birth I just wondered if I'd be able to get through a natural birth. It was never something that was overly important to me before I found out I was pregnant but as soon as I started to think about the little person in there I decided I'd like to try and give them as gentle a transition into the world as possible! Nearly all of my friends and colleagues highly recommended the epidural, so it didn't give me much confidence but I couldn't help think about our parents years ago; my mum had five natural births and my husband’s mum had eight, so I decided to do a bit of research online and stumbled across Gentlebirth." Bernie Creaner-Burke had a homebirth, but it wasn’t exactly planned. Bernie went on to teach Gentlebirth workshops herself and has since trained as a Doula (blissfulbumpsnbabes.ie). Her one regret is an unusual one: “It might sound a bit mad, but the only downside to my birth was it was too short – about one and half hours – we didn't get a chance to use the bath or massage oils and all tools we had prepared with!” Uncommon indeed, but an enviable regret all the same, and perhaps better than anything else, it sums up the difference between enduring or enjoying childbirth. Andrea Mara is a shoe-obsessed, coffee-loving mother of three from Dublin. When she’s not working or looking after her three kids, she’s simultaneously making tomorrow’s school lunches, eating Toblerone and letting off steam on her blog.